My handbags play a dual role in my life. I have them for practicality and style! What do I mean by practical? I buy handbags that can hold everything that is important to me. I buy handbags that I can wear day or night. I buy handbags that are appropriate for many pieces of my wardrobe. I buy bags I can use for all seasons. What do I mean by beautiful? All of my handbags reflect my style! THEREFORE, A HANDBAG IS A MIX OF PRACTICALITY AND FASHION. IT IS AN ACCESSORY IN A WOMAN'S WARDROBE THAT CAN ADD PUNCH TO ANY OUTFIT. This spring, I may add a new bag to my wardrobe. That is... only if I happen upon what is right for my wardrobe. A handbag is not an impulse item. I have decided I am going to look for a bag with a splash of color. I will take my time window-shopping! Why? Because handbags from JCrew to Chanel are ridiculously expensive, darlings, so I treat the purchase of a new bag as if it were a piece of jewelry, a fashionable accessory. I take care of my vintage handbags like they were a piece of jewelry, too. My large bags are lined up on a shelf in my closet so I can see them with my clothing and my clutches lay flat in drawers. I save and use my handbags for years. I am selective in my purchase, never buying what I think is the fad of the year to be tossed out the following season. My mother taught me: Buy one good handbag a year. It will be a keeper. I listened and learned. Be different darlings! My French girlfriend, Florence, living in Paris, is the girlfriend who taught me to think of my handbag as a fabulous accessory. "American women wear a grey or black handbag with a gray suit. I will wear a pink handbag and pink shoes with my grey suit," was her comment. This American girl learned and I follow the French trend. Try it, darlings! Consignment stores: Great buys for great prices. Financial resources: When purchasing your next handbag, buy a bag that you can wear day and night. Two for the price of one, darlings! Neutral colors: Buy a neutral color bag that is year round and looks great with most of your outfits. The colors are: shades of several whites, metallic, navy, grey and black. Wear a bright bag with toned-down clothing: If I am wearing a pair of Levis and a tee shirt, I will put on my vibrant colored canary yellow backpack. My backpack becomes a 'style stopper.' And I feel uplifted wearing the bag. If I am carrying a ton of things because you know darlings, we love to gather, I carry a 'lightweight' tote. I put a small clutch inside my tote to house my wallet, small make-up bag and my iPhone. Putting a clutch inside my tote works well because it prevents me from digging and searching frantically into my tote for a lipstick or my phone and... ruining my manicure in the process! 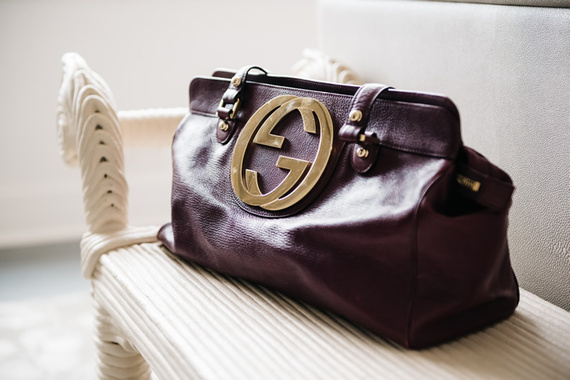 Purchase a bag that matches your size: If you are small sized, as I am, I always stick with small to medium size handbag, except of course for my practical totes. Big is 'never in' for small sized women. You want to carry your bag; your bag should not carry you! Be selective when you purchase a new bag: Buy a bag that will not go out of style. Handbags are keepers. Handbags are costly. Stuff your slouchy bags: I stuff my handbags to save their shape. Buy a handbag with a good clasp for protection: This is a true story. I was walking down 5th Avenue, in New York, with my husband during a bright and sunny day. I was carrying a handbag with a shoulder strap so my purse rested on my hip. I felt a nudge! I looked down. The clasp on my bag was open. By chance the purse had another inside clasp that had my money. Guess who the thief was? A little person! Be daring darlings; you can allow yourself to splurge! You can buy a fabulous looking handbag at J Crew or Chanel. It matters not the price. It is all about your style! I suggest you buy a bag in metallic or gold (goes with everything) or a bag that has hammered studs or a bag with a gorgeous chain and clasp. Next week, darlings, I will give you tips on how to preserve your handbags! Maybe by then you will have purchased your new bag and I will have the pleasure of showing you some tricks of the trade of saving your beautiful or fun new accessory...your handbag.